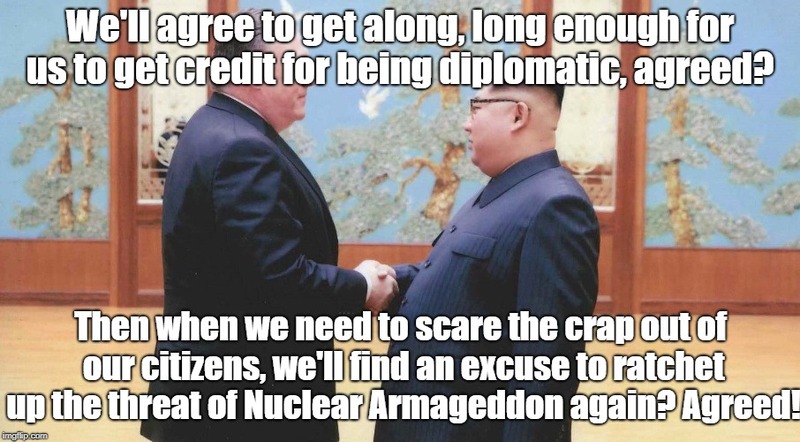 We'll agree to get along, long enough for us to get credit for being diplomatic, agreed? Then when we need to scare the crap out of our citizens, we'll find an excuse to ratchet up the threat of Nuclear Armageddon again? Agreed!